The organizing committee of the 4th International Conference on “Geotechnics for sustainable Infrastructure Development”, GEOTEC HANOI 2019, would like to express our best regards and sincere greetings to you. Following the success of the three previous events, the 4th International Conference of GEOTEC HANOI will be held on November 28-29, 2019 at the National Convention Center (NCC), Hanoi, Vietnam. More details on the conference can be found in the Announcement No. 1 (click here to download), conference website https://geotechn.vn/ or https://www.issmge.org/events/geotec-hanoi-2019. We cordially invite you to participate in GEOTEC HANOI 2019 to make this great event more successful. Authors are invited to submit abstracts to the conference through our conference abstract submission system at https://geotechn.vn/paper-submission.html before March 15, 2019. Please use abstract template (click here to download) and follow the submission guidelines (click here to download) to create a new account for your abstract and full paper submissions. 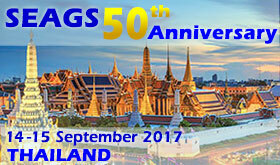 Besides being published in the proceedings book of the conference, the best papers will be selected to publish in a special issue of Journal of Geotechnical Engineering (SEAGS-AGSSEA Journals: http://seags.ait.asia/journals/), an ISI indexed journal. For this, papers on well-instrumented case histories and design experiences regarding projects in Vietnam are encouraged. We are very grateful if you could help us to forward this call for papers to your colleagues. Thank you very much for your kind supports to the conference. We look forward to seeing you at the conference GEOTEC HANOI 2019. Organizing Committee of GEOTEC HANOI 2019. Copyright © 2019 GEOTEC HANOI, All rights reserved.